Home » Fundamental analysis » Part 8: Fundamental Analysis – The “January Effect” – An opportunity or a myth? Have you ever heard of the January effect? January is said to be a month in which you can make profit most easily. Read the following article to learn how much this is true, to what extent this is just a wishful thinking and what to do to profit from this effect. The January effect is not a myth, it’s statistics. It has been empirically proven that gains in stock markets are statistically bigger in January than in any other month. As you can see in the picture the average return on shares in January is nearly three times higher than in the rest of the year. Using this theory, you should buy shares no later than at the beginning of January and, sell them at the end of January. That’s all. Statistically, each January you should receive an average profit of 3.9% year by year. However, the question is: which company is the one to buy? If you believe in the January effect, you can speculate on prices of the stock market index. The index is derived from a combination of several shares, typically of major companies in a region, country or segment. These indexes, ideally those offering diversified shares (i.e. from multiple segments), should reflect the January effect. If you prefer laboriously analyze each share (stock) individually you can do so to choose the one of which you think that offers the biggest potential. Shares are normally available from major Forex CFD brokers. 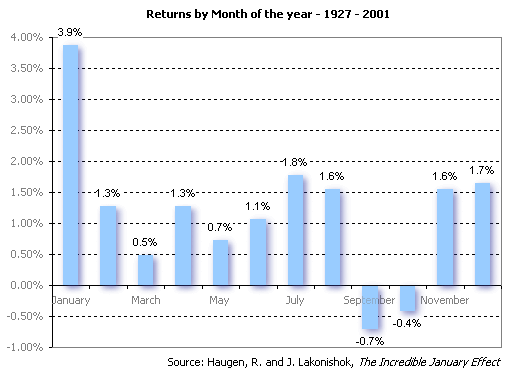 If you find the January effect an interesting phenomenon look at the portfolio of your broker. You will surely find there some shares or indexes that fit you. This applies to binary options, too. Look for example what IQ Option offers in this respect. It’s all up to you to choose either a Forex broker or a binary options broker and try to open trades for the duration of January.. There is an exception to every rule. Strong capital returns and soaring prices of the vast majority of cryptos in 2017 suddenly ended at the beginning of 2018. As to cryptos, the January effect in January 2018 worked in the opposite direction. The digital currencies market (worth 830 billion dollars on 7 January 2018) shrank to 500 billion by the end of January and the trend continues. The major cryptocurrency Bitcoin traded on 17 December 2017 for USD 19 300 fell to USD 6 580. Is this the bursting of the crypto bubble or just an expected healthy correction? 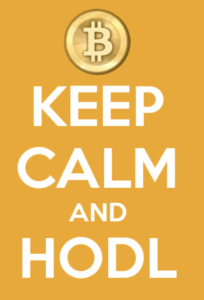 For hodlers, this price decline is an ideal opportunity to buy new cryptos for little money before another rise. Unlike cryptocurrencies, shares experienced solid growth in January. Stock market indexes such as S&P500 have grown by 4.7 % and Dow Jones by 5.3 %. Yet, in the first February week, the prices went down again by 9 and 7% respectively. This means that unless you had strictly followed the January effect (selling all your shares before the end of January) you would have easily lost all your earned money. In December, traders take their profits and often withdraw some of their investments. On the contrary, in January they invest again. This is partly because at the beginning of each year investors tend to be more optimistic. If you had missed the opportunity this year don’t despair. Look at the charts and statistics and if you find the January effect an attractive challenge go for it next year!